iPhone Video Converter for Mac is powerful and versatile video conversion software for iPhone. It can convert many popular video and audio formats to the ones supported by iPhone/ iPod including MP4, H.264, M4A, MP3 etc. PS3 Video Converter allows you to convert multimedia files to PS3, PSP video format MPEG-4/ AVC with real high-quality which could be played on PS3 and PSP. In addition, it supports the output files as definition 480p/720p and 1080p. 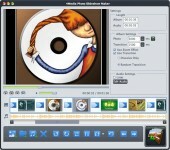 Video Converter for Mac is powerful video and audio conversion software for Mac users. 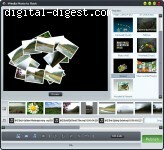 It can convert video formats for Mac, iPod, Apple TV, PSP, etc. It can convert popular audio formats as well.